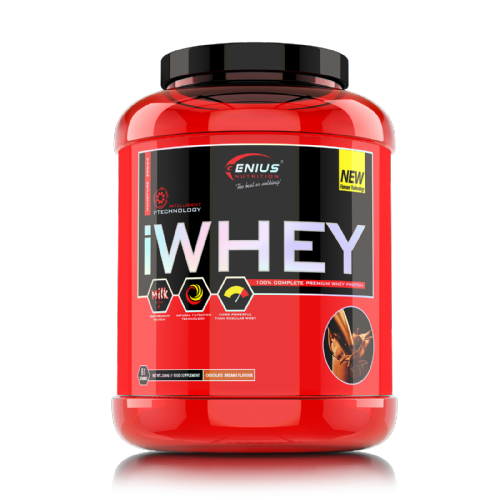 Genius ™ Nutrition introduces the quality and purity evolution of the whey protein isolate. iWhey™ Isolate has been proven to augment muscle protein synthesis, support fat burning, boost the immune system, improve insulin sensitivity and build muscles fast! 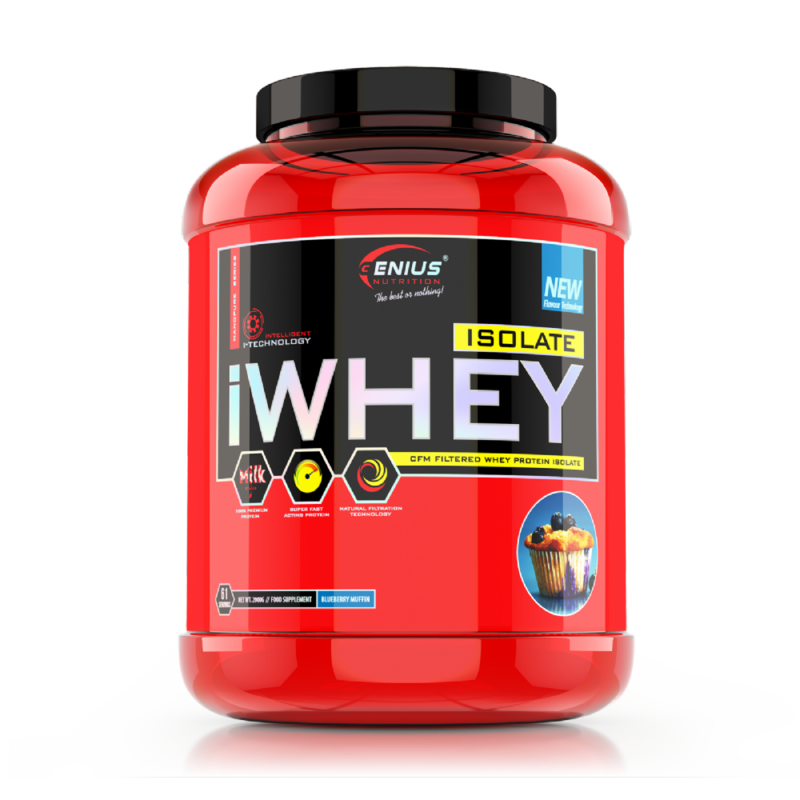 iWhey ™ Isolate provides the most efficient and accurate dose of amino acids to increase lean muscle mass. 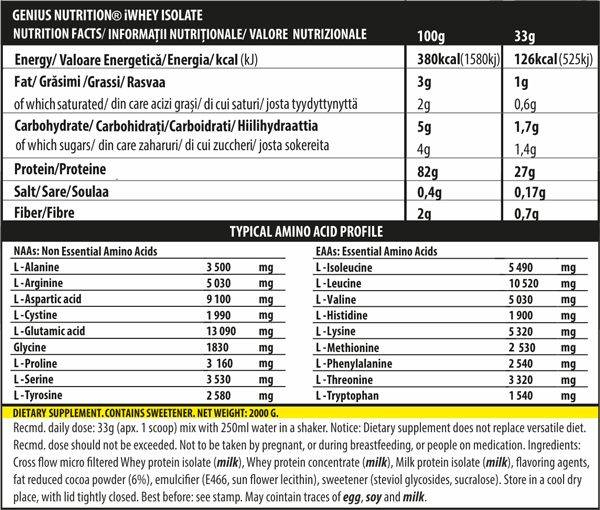 Due to its high amino acids profile (BCAA), it has both an anabolic and an anti-catabolic effect. The high content of glutamine prevents muscle catabolism, enhances protein synthesis, increases glycogen reserves, helps recover after the workout and stimulates the immune system. AS A DELICIOUS SNACK: Try adding fresh or frozen fruits, Greek yogurt, oats, coconut milk or low glycemic high-energy ingredients to your shake and enjoy a healthylicious snack. Do not exceed recommended dosage.